There’s nothing quite like karts racing through city streets. Turning the 15mph zones into on-the-edge circuits and reaching speeds of 80+ mph provides the thrill and excitement you cannot find anywhere else. The change in location for racers who spend the season at race tracks tucked away from the public eye now competing in front of fence lines full of fans and spectators pumps up the adrenaline level. Bringing this chance together next weekend will be Superkarts! 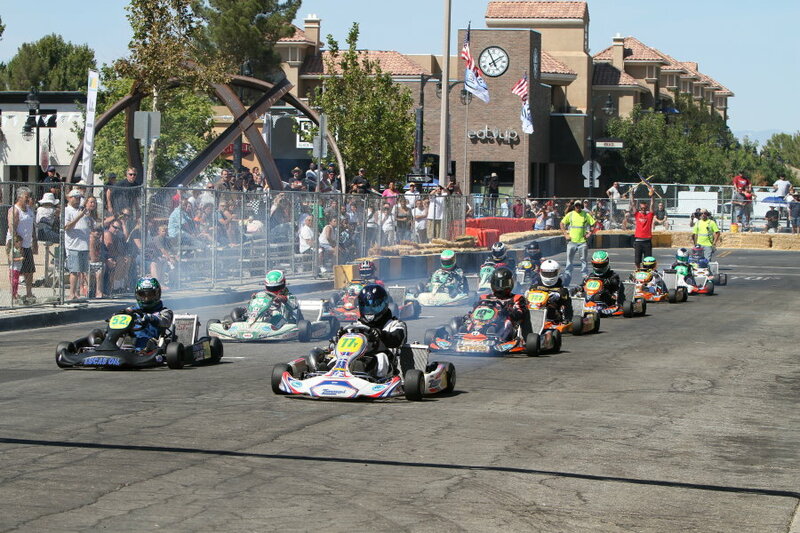 USA and the City of Lancaster, California as they host the fifth annual Streets of Lancaster Grand Prix. The September 27-29 event will count as the season finale for the California ProKart Challenge series, while also giving competitors from around the United States a final chance to prepare for the upcoming SKUSA SuperNationals XVII. The Streets of Lancaster Grand Prix is unlike any other race, partly due to the fact that the event is held on the downtown streets of the southern California city. The citizens, businesses and city officials all support and take part in the three-day festival that includes many activities on and off the circuit grounds. On Friday, September 27, while the ProKart Challenge teams and drivers settle into the downtown area, Lancaster VIP races will take place throughout the day aboard the Superkarts! USA rental kart fleet, giving sponsors and assorted local Grand Prix supporters a chance to feel what kart racing is all about. At 6 p.m. that evening, all PKC racers and crew members in attendance will be treated to a welcome reception at the Lancaster Museum of Art and History (free appetizers and drinks for those wearing a PKC armband). The Friday party continues across the street at 9 p.m., as everyone will be invited to BeX Bar & Grill. Those wearing their PKC armband can enter with no cover charge and enjoy drink specials throughout the night. Each PKC driver will also receive a FREE bowling pass from BeX in their race entry packet at registration. As the weekend rolls on and karts hit the track, the nighttime activities continue as well. Beer gardens and live bands are on the scene. The city is also working on securing a location to screen the highly-anticipated film RUSH, which premieres the same weekend. And capping things off Sunday afternoon at the podium celebrations, one California PKC racer will be awarded the Streets of Lancaster Driver Scholarship. The program includes a full season of racing sponsorship for 2014 in the California ProKart Challenge, the Superkarts! 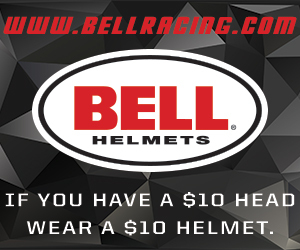 USA Pro Tour and the SKUSA SuperNationals, a prize worth over $11,000. The special Lancaster two-day PKC finale will see practice, qualifying and the opening heat race taking place on Saturday, with heat two and the main events scheduled for Sunday. The action in Lancaster will be hotly contested, as has been the case for the California PKC class championships throughout the season – now to be decided on the city streets. Five wins in five races usually bodes well for a driver’s championship hopes. That is the case for Extreme Karting/Vemme S1 Pro Stock Moto class rookie Billy Musgrave. Heading into Lancaster, Musgrave has a strong lead over Jimmy McNeil and Ryon Beachner. Musgrave is not a driver to bet against on a street course either, thanks to his impressive victory in the S2 category at the SKUSA SuperNationals last November in Las Vegas. In the Pure Karting TaG Senior category, Jake Craig enters the final round as the point leader over Travis Lowe. Craig already had an impressive spring leading into summer that saw him score three straight wins and is now the favorite for the championship. Texan Connor Wagner sits atop the standings in the Buddy Rice Karting S2 Semi-Pro Stock Moto class standings. Wagner holds a 171 point lead over round one race winner, Robert Marks. Not far from the fight for the top spot is round four race winner Don Whittington, who sits 152 points behind Marks. In the Leading Edge Motorsports S4 Masters Stock Moto class, Willy Musgrave nurses a tight 95 point advantage over Ken Schilling. Despite missing the first round of the 2013 season, Musgrave has two wins in the last four events. Darrell Tunnell sits very close in third place, only 111 points out of first, and just 16 markers back from Schilling. Billy Cleavelin has claimed four of the five feature wins in 2013, which has handed him an impressive point lead over Ethan Wilson and Kevin Manning in the Mike Manning Karting TaG Master division. In the 2 Wild Karting S3 Novice Stock Moto class, Gianfranco Casadei rolls into Lancaster with a large gap over Will Vogel and John Reikes. Luke Bianco is the top dog in the S4 Magnum Stock Moto category, presented by Leading Edge Motorsports, as he leads Ken Manning and Rick McAllister in the championship chase. Jarred Campbell sits atop the point standings in the SwedeTech Racing Engines S5 Junior Stock Moto class. Campbell is coming off a very successful summer, which included him sweeping the SKUSA SummerNationals in Colorado, taking the point lead in the SKUSA Pro Tour and being named the eKartingNews.com Driver of the Month for July. Campbell holds a slim lead over California PKC and Pro Tour nemesis Carter Williams. Pulling double-duty is hard enough, but sitting toward the top in both championship standings is an accomplishment all its own for Williams, who is also competing in the Phil Giebler Racing TaG Junior class. He enters Lancaster as the point leader ahead of last year’s Streets of Lancaster winner Brenden Baker. After five rounds, Baker leads Williams in the win column with a 2-1 score, but a tough last two rounds keeps Baker in the second spot overall. The Sunshine Daydream Creations TaG Cadet class has provided excellent racing thus far in the season, thanks to the series’ youngest racers. With the second tightest championship picture coming into the final round, Ryan Schartau leads Jagger Jones and Trenton Sparks – who are both tied after five rounds of racing – by 153 points. Pre-entry for the Streets of Lancaster Grand Prix is available now at www.skusastore.com until midnight on Wednesday, September 25 at the special price of $395 for entry fee and race tires. Walk-up pricing to register increases to $595 at the track, so racers are encouraged to sign-up early. Due to the size of the event and the paddock arrangement, pit spot and camping reservations are a must. Competitors will be contacted by the PKC office prior to the weekend to confirm their location for the event. Teams and drivers will be allowed to move into the paddock area on Friday, September 27 when the gates open for pit move-in and registration, taking place from 10 a.m. to 6 p.m. A detailed event schedule and hotel accommodations are listed at the SKUSA event page, available at the following LINK. eKartingNews.com is providing their ‘Trackside Live’ broadcast throughout the weekend, as family and friends can listen to the action live through their webpage www.ekartingnews.com/live . Superkarts! USA would like to thank the following companies, in addition to the support of the class sponsors, for their aid toward the PKC 2013 season: MG Tires, Mothers Polish, Honda/HPD, VP Racing Fuels, Motul, MIR, and AiM. Stay tuned to www.superkartsusa.com for any late breaking news, as well as updates on Twitter at @SuperKartsUSA and at Facebook.